What exactly is balayage ombre hair? Hair color has had many trends over the years and gradient hair color has become the latest and greatest new hair color must-have. Everyone from famous actresses to your best friend has gotten balayage ombre hair coloring, but what exactly is it? Balayage: A freehand form of highlighting hair that does not require the use of foils or caps. It essentially sweeps or paints the color down the hair for a more natural looking sun-kissed highlight. Though this technique was created in the 1970’s by the French, it has resurfaced as a favorite here in modern age America. Ombre: A shading technique for hair color that generally starts darker at the roots and gradually lightens as it progresses to the hair tips. This is usually achieved by using the balayage technique rather than hair foils. 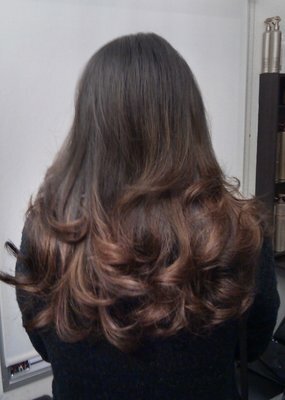 So, balayage ombre hair color is when the ombre coloring is applied using the freehand balayage technique. 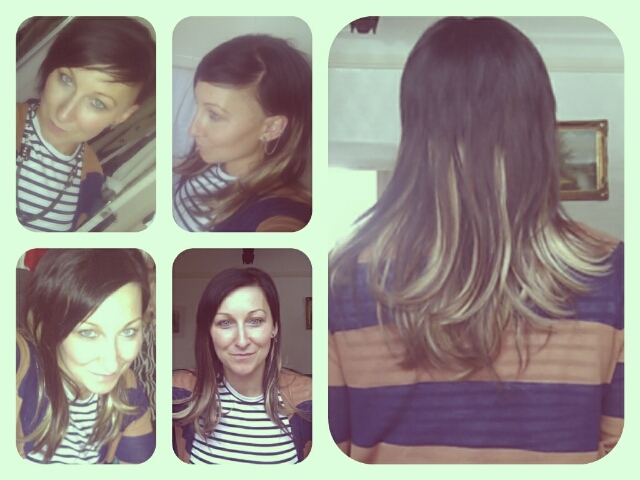 So, you can now differentiate between balayage, ombre, and balayage ombre, though they often appear together. This style is excellent for women like me, who simply don’t have enough time and money to constantly keep up their hair color. Since the look is supposed to have dark roots, it allows us the freedom to skip a touch up or two. 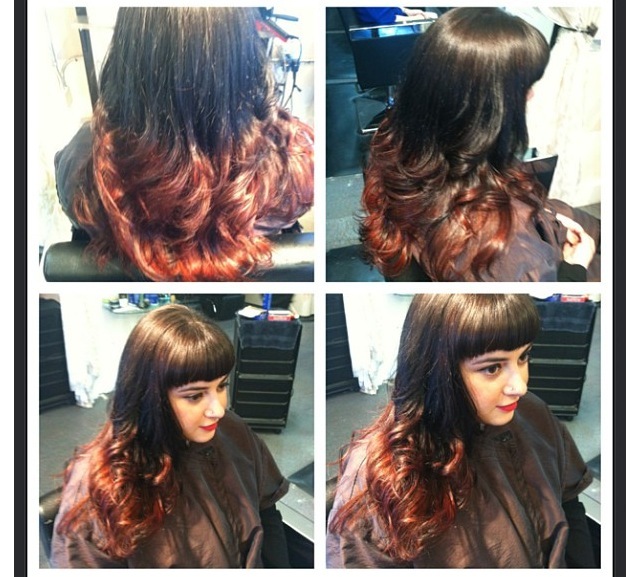 The balayage ombre hair color allows for many different looks as well. 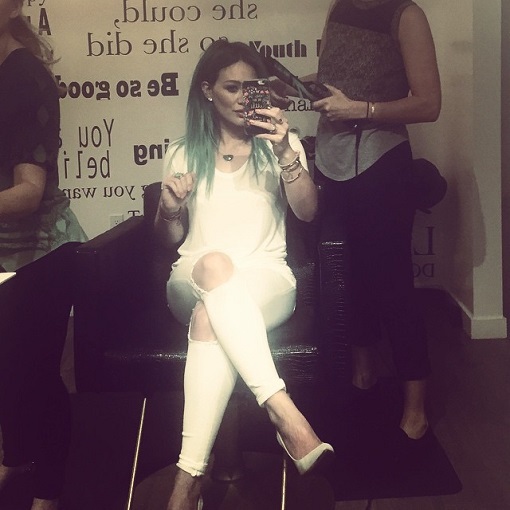 Though blonde is the most common color, a popular trend that has arisen is using unnatural pastel colors such as green, blue, and silver with the ombre effect. 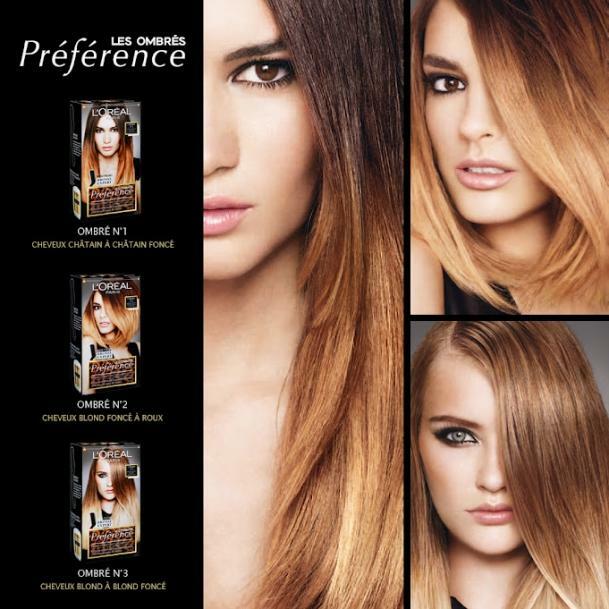 If you want something a little less wild, you can opt to keep it within the natural hair color spectrum. This is good for people who might work in a more traditional work setting and want to appear trendy but professional. 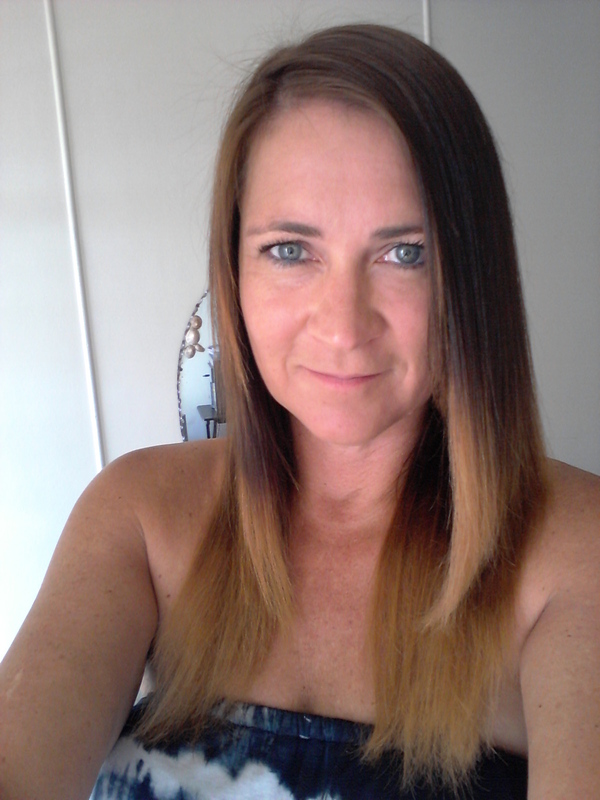 It works on long and short hair alike and can be done in multiple shades to keep the look fresh. Though a more natural and subtle blend of colors is what’s trending right now, it can also be done in thicker sections of hair or with a more prominent color difference from root to tip. 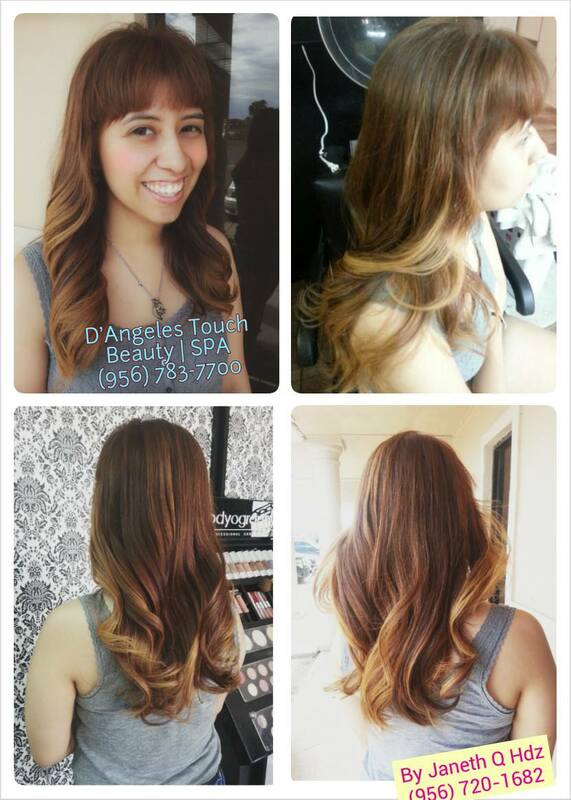 The only true drawback to balayage ombre hair is that it can be difficult to apply yourself. So, if you are the type of person who buys a box of hair dye over the counter and does it alone, this may not be the style for you. In my personal opinion, the look is worth spending a few extra dollars at the salon. 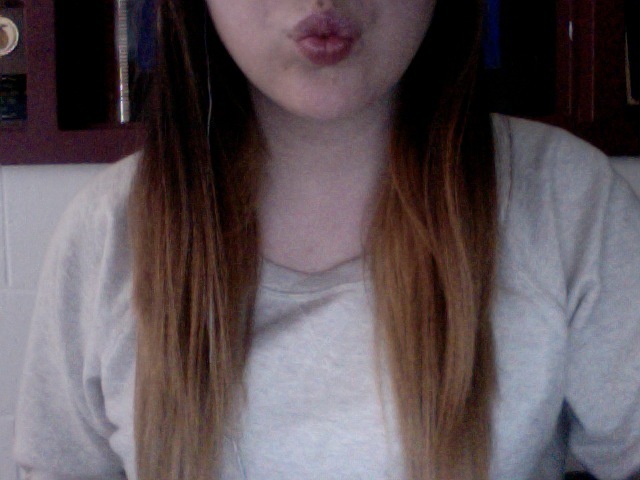 Overall, graduated balayage ombre is my favorite hair color trend and I don’t see it losing momentum any time soon. This relaxed look is easy to keep up with and requires little to no maintenance.